Buying comic books as an investment is becoming more and more popular these days– and for good reason. This may be new to some people in the comic book world, because previously comic books were read, used, and shared among friends. Nevertheless, some people realized the worth of these comic books and stored them properly and started treating them as an investment. This is why comic books are becoming one of the smartest and greatest alternative investments today. The popularity of classic comics has increased over the years with the introduction of comic book characters into pop culture through television and movies. A comic book becomes more valuable as it gets older and more popular. Some of the classic comic books are now worth hundreds of thousands of dollars, such as the Action Comics #1 from the 90s sometimes worth about half a million dollars, while Detective Comics #27 from the 90s, usually have a value of at least $50,000. All comic lovers may find the rising trend of investing in comic books interesting. 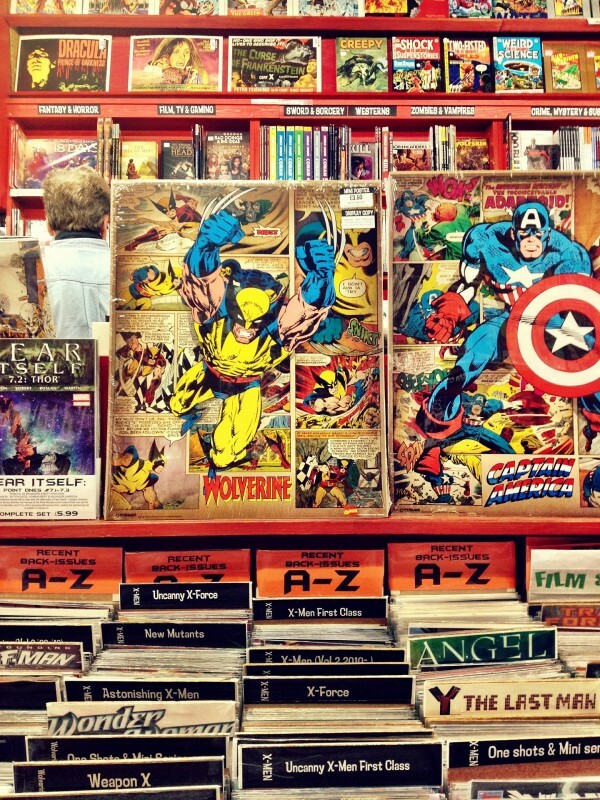 Let’s take a look at why comic books are a great alternative investment. Investing in Comic Books – What does it mean? Generally, investing refers to buying assets in hopes of a financial return in the future. When looking at comic books from an investment standpoint, you need to take into account its popularity, condition, and rarity. A good storage strategy is absolutely necessary since keeping them safe because a tidy book will earn you more money. You will also require some money to buy the comic books. You need to have market knowledge and be willing to track the market to know what types of comic book collections are sold and trending. Some comics are worth a few dollars while the others may be worth upwards of a million dollars. You just need to follow the market trends and choose the relevant comic books worth investing in and taking advantage of a rise in value over time. If you don’t have a good grasp of the comic book market, seek advice from experts to value your comic books first before buying or selling. Why Should You Invest in Comic Books? Who knew a gem from 1938, Action Comic #1, could worth $2.1 million today? Classic comic books are of great value. Comic books work well when the economy is booming as people buy more because of discretionary income. These books are recession-proof. The prices of these books vary which makes it affordable for everyone to invest who’s interested. Comic book investments have more liquidity than most other hard assets, such as real estate. Investing in comic books becomes more predictable than stocks, especially for people with industry knowledge. Experienced comic book investors can easily predict the return unlike stock market investors. It’s fun to search for a comic book. Keeping an eye out for characters in the market is joyful. Before taking the plunge, you must consider the following tips for a lucrative investment. Seek Quality: The best bets are made on high-quality comics because they are valuable. Their value may signify culture, popularity of character or some change. Understand what makes a collectible valuable, and you have a huge head start. Look for Rarity: The harder it is to find a unique comic book, the greater will be the chance to get a high premium. The reason to choose old comics is their rarity. Go for Proven Titles: It would be valuable if you choose investable comics that are already proven profitable by early collectors. Have An Exit Strategy: Are you investing for fun or profit? If the idea of profiting from this experience is a possibility, have an idea of how you’re going to sell your comic books. Hint: we can help! With this read, you can see how profitable and fun it could be to invest in comic books. However, you should keep in view the investment and follow the tried and tested tips presented in this article to invest in this great alternative investment.